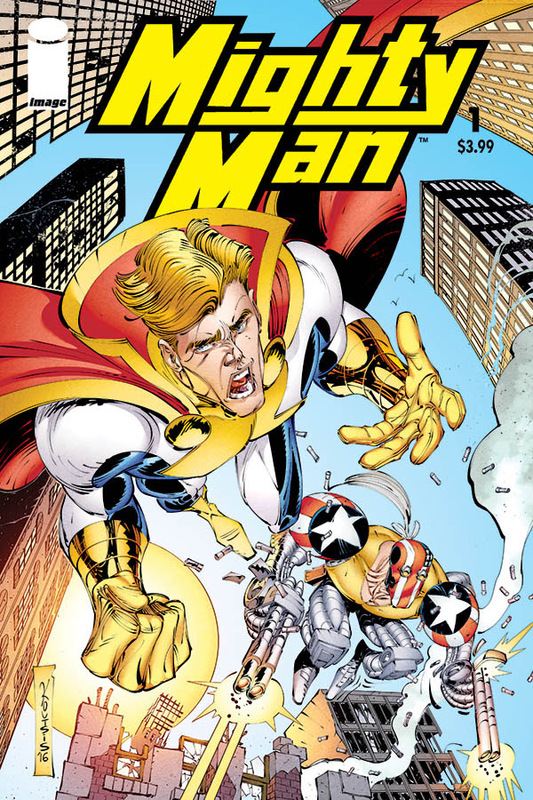 Image Comics is pleased to announce an all-new one-shot by comics legend Erik Larsen, Image Comics’ co-founder and co-partner and the creator of the long-running SAVAGE DRAGON series, and artist Nikos Koutsis team up for: MIGHTY MAN. The one-shot story will take flight this April. In MIGHTY MAN, seven-year-old Betty Bradford has inherited the mantle of the World’s Mightiest Man. Now she trains to take on the role of the world’s greatest superhero and faces her biggest challenge ever. A fun, action-packed story, MIGHTY MAN is sure to satisfy any comics fan in search of a standalone, page-turning adventure. MIGHTY MAN, one-shot (Diamond Code FEB170577) hits stores on Wednesday, April 5th. The final order cutoff deadline is Monday, March 13th.